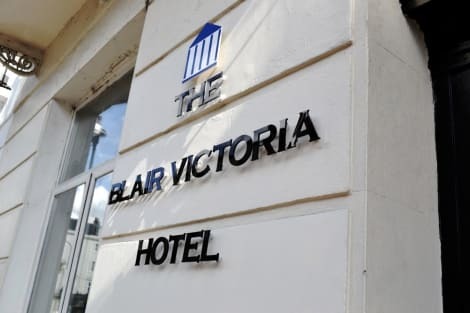 Located only five minutes on foot from Victoria station, Belgrave House Hotel offers budget accommodation in a fantastic location set close to Buckingham Palace and a short walk to the Tate Britain. 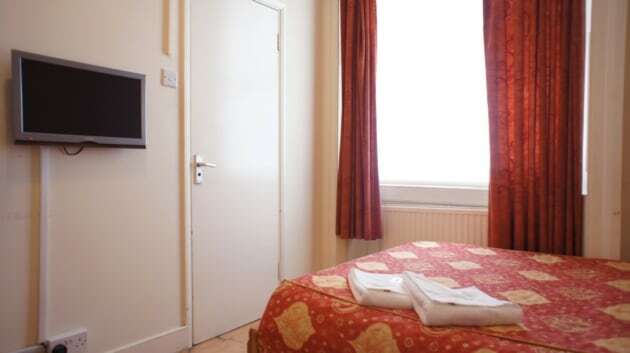 The modern rooms are functionally furnished and come with free wi-fi access and flatscreen TVs. 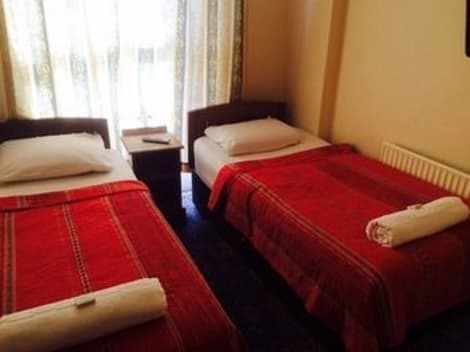 A number of serviced apartments are also available, which come equipped with kitchen and dining room areas. Before heading out enjoy a fresh continental breakfast, served each morning at £4.50 per person per day. Please note: The hotel does not have a lift. Continental breakfast is available at 4.5GBP per adult per night and 1.5 GBP per child under the age of 12. (cereals, toast, yogurt, fruit cocktail, tea, coffee and orange juice.) There is also a refrigerator, microwave, and coffee making facilities for guests use throughout the day. 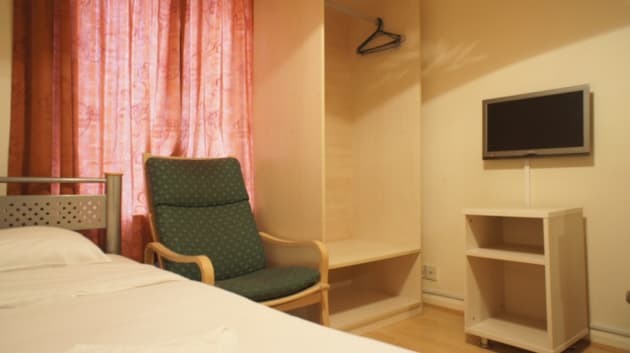 Offering affordable accommodation beside Victoria station, The Dover Hotel is an inexpensive place to stay in the heart of London, moments from Buckingham Palace and a short walk to Trafalgar Square. 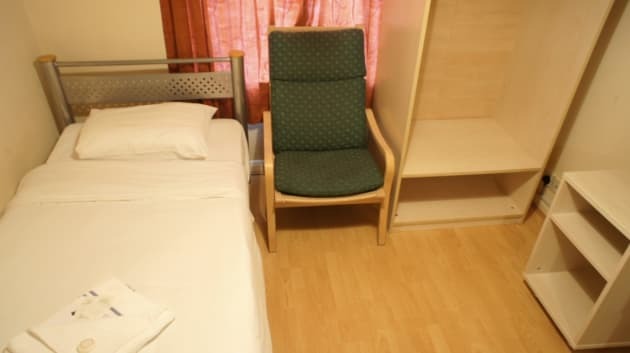 The bright, modern rooms get plenty of natural light and come with free wi-fi access, satellite TV and private bathrooms. Luggage storage facilities are available and the reception is open 24-hours a day. Make sure you start your day with a free continental breakfast, served in the dining room. 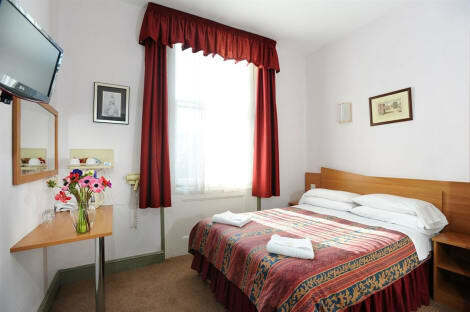 Located in London (London City Centre), Golden Star Hotel is within a 15-minute walk of Apollo Victoria Theatre and Victoria Palace Theatre. 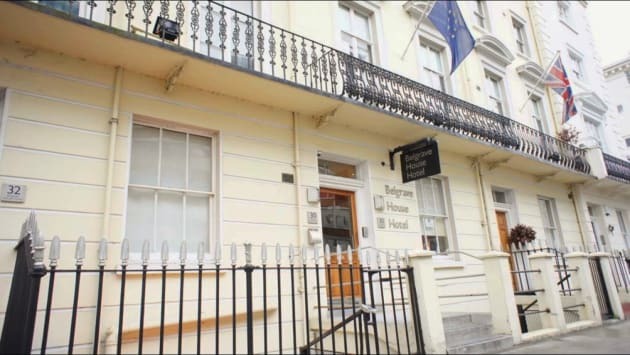 This hotel is 1 mi (1.7 km) from Buckingham Palace and 1.1 mi (1.7 km) from Houses of Parliament. Featured amenities include wired Internet access (surcharge), dry cleaning/laundry services, and luggage storage.